Choose an audio track from Sangeet Stream and enjoy the total experience of Namdhari World without leaving home! . Inside this music world you'll find the best of namdhari music artists from all corners of the world. Welcome to a nostalgic experience ! WELCOME TO NAMDHARI-WORLD: This web site designed to give insight into Namdhari religion, music, culture, tradition and its rich heritage. The underlying principle of the web site is to reach out to vast multitude of people in general and the Namdhari community in particular, both in India and abroad and give them information about their history, in the light of socio-religious milieu, arts, culture and its contribution in infusing moral values amongst the faithful and making this world a better place to live in. Our journey began in 1998. 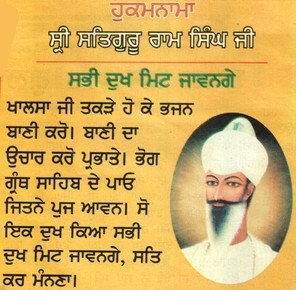 With the blessing of Sri Satguru Jajit Singh Ji this world became a niche for namdhari sikhs. In 2010, this new look replaced the original web site. 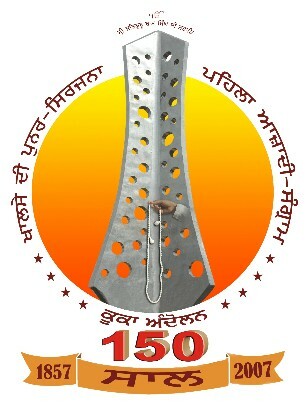 (1857-2007) 2007 MARKED THE 150th Anniversary of BIRTH OF THE SANT KHALSA (the namdhari panth) & The KUKA FLAG. The first triangular white flag of the Indian Independence Movement, which symbolizes Sikh Tenets: Truth, Purity, Simplicity, Peace and Unity was hoisted by the 12th Sikh Guru - Sri Satguru Ram Singh Ji Maharaj on the eve of the Baisakhi Festival - 1st Baisakh Samat 1914 (12th April 1857), when Sri Satguru Ji re-inaugurated the SANT KHALSA (also known as Namdhari Sikh Panth) at Sri Bhaini Sahib (District Ludhiana) Punjab, India. 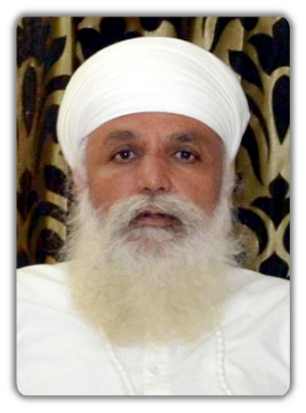 Holla Mohalla at Sri Bhaini Sahib:23-27 March 2016. On His departure from Sri Bhaini Sahib, bidding farewell to his countrymen. Satguru Ram Singh Ji is seen in a bullock cart having covered himself with Mata Karmo's black blanket and consoling his perturbed sangat. 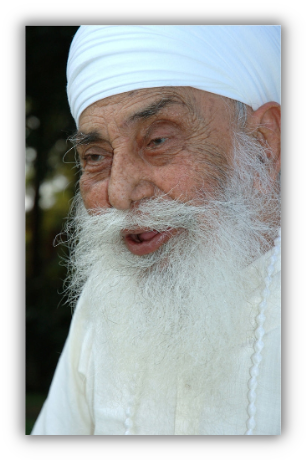 With the blessings of Sri Satguru Jagjit Singh Ji, in a community interaction programme on 14.Dec.2007, all local associations and public representatives were unanimous in endorsing the demand of Namdhari Darbar for renaming the Patel Nagar (West) Metro Station as Satguru Ram Singh Marg Metro Station. The Gurmukhi Script - who composed it? 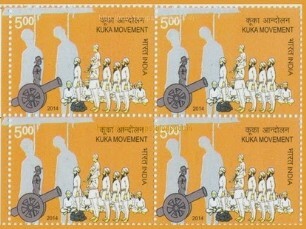 Extracts are articles published by various newspapers etc relating to namdhari sikhs & events. (The Master Of All Arts). Produced & Directed by Taranjeet Singh. Available in DVD Format / English & Hindi languages. 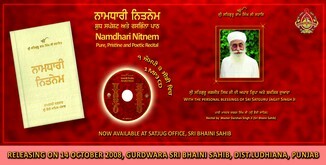 Place your order with your local Namdhari Sangat or get in touch with Namdhari Darbar, Sri Bhaini Sahib, Punjab, India. Shaheed Bishan Singh Memorial School for boys and girls is the fulfillment of the long cherished desire of Satguru Pratap Singh Ji who had a keen desire of opening school which aimed at the all round development of the personality of the child with special emphasis on moral and religious values of life with the infused spirit of patriotism, immense love and respect for our cultural heritage. It is a private unaided institution run by the society Namdhari Darbar. 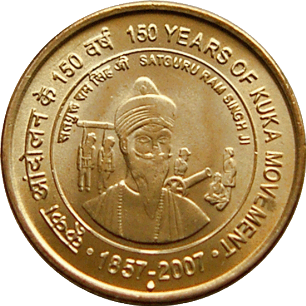 It was established by His Holiness Sri Satguru Jagjit singh Ji on 5th November, in 1981. 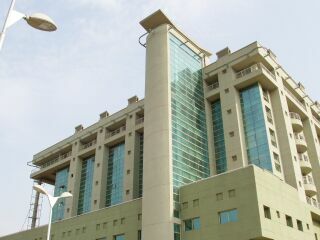 The school aims at developing character and individuality of students through a well balanced combination of general education and co-curricular activities ensuring an all round development of the child equipped with the intellectual and practical skills essential to meet the inevitable challenges in the future in 21st Century. 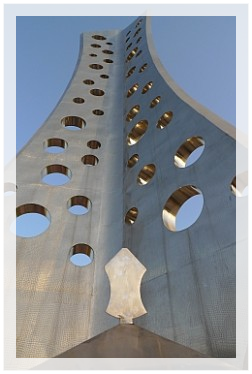 All editorial content and graphics (photographic or otherwise) on our site is protected by international copyright laws and may not be copied without the express permission of namdhari-world.com, which reserves all rights. Re-use of any content and graphics for any purpose without permission is strictly prohibited. This copyright also covers HTML or other code that namdhari-world.com creates to generate pages.